How to show and discuss difficult history? Something that is still fresh and vivid in the minds of older generation but often tends to be omitted by the younger one? Is the socialist past of Central and Eastern Europe still a topic for researchers? Those and more questions about the relevance of the archives as witnesses of the past served as a starting point for discussion during the ‘Unlocking Broadcast Archives from Eastern Europe’ seminar in Bucharest. The seminar was organised on March 12-13 by The European (Post)Socialist Television History Network, FIAT/IFTA Television Studies Commission and Romanian Television (TVR). It brought together experts representing audiovisual archives from the region in question, researchers with a special focus on socialist television history as well as representatives from the networks like EBU, FIAT/IFTA, Europeana and colleagues from Romanian memory institutions. During the intense two-day event the audience was offered a wide presentation of various approaches on the meaning and role of the archives when thinking about and analysing the not too distant past. The meeting started with a significant question on the preservation of the moving image heritage of the socialist times. 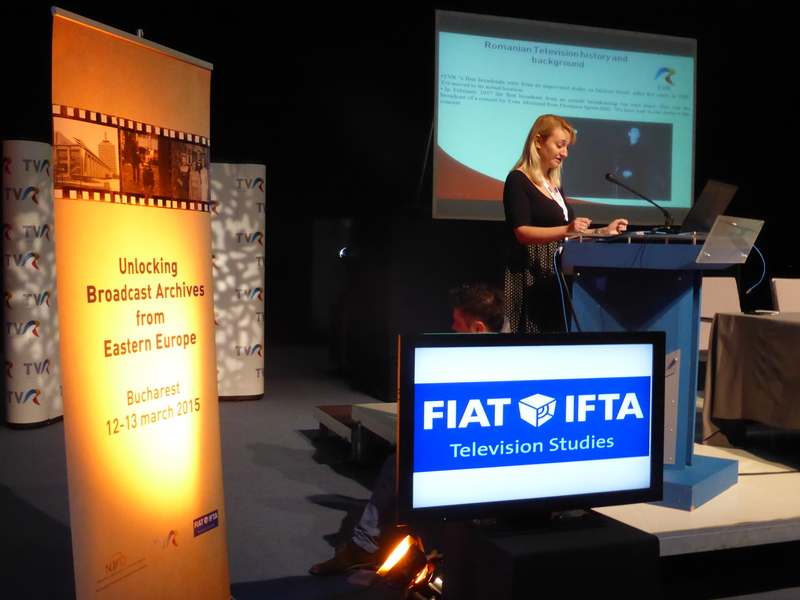 Speakers from EBU and FIAT/IFTA shared some examples of projects focused on providing support to archives in danger. Dominique Saintville (IFTA) presented the FIAT/IFTA financed Save your Archive programme which promotes the safeguarding of vulnerable or at risk audiovisual archives by offering small funds for their preservation. Its third edition has been just launched with a deadline for submissions on July 31th 2015. Romanian Television is one of the programme’s beneficiary with its SOS The Live Romanian Revolution project holding 3 main objectives: to digitize and preserve the collection, to index and create metadata for the entire slot and finally to make part of this collection accessible online for the general public. Still, in most of the archives in the region, a lot of attention should be put to securing the often unique footage portraying personalities and events of the past era. 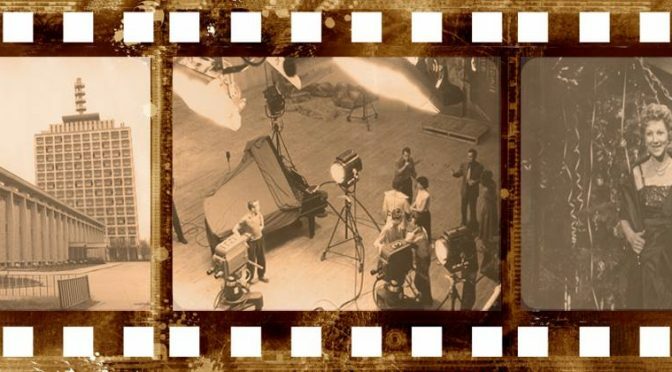 Public broadcasters and audiovisual archives in Poland, Czech Republic, Romania, etc., as former propaganda instruments, possess extraordinary but sometimes dusted collections with a meaningful research potential. Dana Mustata, Anikó Imre, Lars Lundgren, Ferenc Hammer – founders of the The European (Post)Socialist Television History Network, talked about their experience with regard to gathering and analysing archival material for research. Dana Mustata, co-host of the seminar, shared her story on disenchanting the history of Romanian TV personalities. Her research took her to the BBC archives proving that getting a full picture is only possible when running a comparative analysis. Sonja de Leeuw, inter alia, project co-ordinator of Video Active and EUscreen (both predecessors of the EUscreenXL) also stressed the importance of comparative approach. She presented the evolution of the EU-funded projects aimed at enabling the transeuropean search and research of the moving image content. Thanks to international co-operations like the one run under the EUscreen label an easy access to enormous collection of archives coming from different broadcasters and their comparative presentation has been made possible. National audiovisual collections from Eastern and Central-Eastern Europe showcased by Irina Negraru (TVRomania), Aleksander Lavrencic & Katja Sturm (RTV Slovenia), Agnieszka Wolak (National Audiovisual Institute NInA, Poland), Martin Bouda (Czech Television) and Blago Markota (Croatian Television) contain unique footage including scenes from political, social and cultural life interesting not only with a local or regional context in mind but especially when looking at it from, wider, European perspective. When thinking about raising visibility of the archival content among the so called general public curation is a must. Maria Drabczyk (NInA) stressed the necessity of curatorial and editorial approach when presenting one of NInA’s latest projects – Archives of Transformation ‘89. It’s an audio-visual collection on the Round Table talks in Poland with a rich narrative and a specially created dictionary of useful expressions that may no longer be clear for the younger audience and are essential for the storytelling. Maria together with Joanna Orłoś (European Network Remembrance and Solidarity) talked also about Freedom Express – an international social and educational campaign launched on the 25th anniversary of the “year of changes” – the year 1989. A travelling and online exhibition among them, with a powerful message coming from the moving image archives presented in a short video prepared by EUscreenXL. Finally, Ad Pollé (Europeana) presented a few examples from Europeana 1989 campaign focused on creating a unique user-experience by combining institutional collections with personal memorabilia. What happens next? It would be really interesting to see a joint project run by researchers and archival experts showcasing the richness and importance of the AV archives from Central and Eastern Europe. There are definitely more stories waiting to be discovered and shared. To find out more about the of television in the socialist time read the VIEW Journal issue on Television Histories in (Post)Socialist Europe.